Following its recent investment round, Vegayan Systems has added Ashwin Raguraman and Rakesh Mathur to its Board of Directors. Vegayan is very excited to have such illustrious people join its Board and welcomes them. Ashwin is the Chief Operations Officer at the India Innovation Fund (IIF) and brings extensive IT and venture industry experience. Rakesh is the early Angel investor in Vegayan and recognized globally as a very successful entrepreneur and business visionary from the Silicon Valley. Vegayan looks forward to strategic guidance and involvement from its new Board members to scale new heights in Business. Vegayan announced that it has closed equity investment round in June, 2013 which was led by reputed venture fund, India Innovation Fund (IIF). The IIF fund focuses on early stage innovative and hi-tech product companies which are path-breaking in their respective fields. After rigorous process of technology and business validation, IIF committed to the business partnership in Vegayan. India Innovation Fund is promoted by NASSCOM which is the premiere association of IT/ITES companies of India. 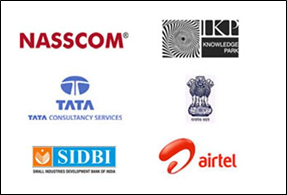 IIF has several leading organizations (ICICI, Bharti Airtel, TCS, SIDBI, etc.) as its corporate partners in the investment fund. Along with the IIF, several technology and business experts also participated in the investment round as co-investors. In addition, Vegayan’s early angel investor, Rakesh Mathur also participated in the round. This investment round reinforces the strong business value created by Vegayan and its growth prospects. Vegayan got featured in the list of “IT Innovators 2008” by NASSCOM. The list consists of companies which managed to stand out and differentiate themselves in highly competitive, often adverse market conditions and carved a niche for themselves using breakthrough technological products and novel market initiatives. It includes wide spectrum of young enterprising companies and large companies that are making waves both at home and overseas. We the Vegayan team are proud of this recognition by NASSCOM.